Why is regular dental visits is so important? Visiting your dentist regularly is so important because it will keep your teeth and mouth healthy. Aside from this, it will also keep the rest of your body in good condition. 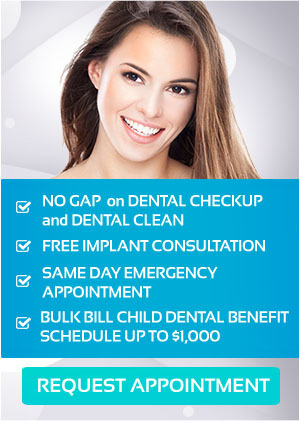 Dental care helps prevent tooth decay, gum disease and other serious dental problems. It can also enhance the appearance of your smile and keep your teeth looking clean and beautiful. The ADA recommends seeing your dentist at least twice a year. However, if you are at greater risk for periodontal disease or oral cancer, you may require more visits. Your dentist at United Smiles will let you know how often you should visit us based on your current dental health. If I have a severe toothache, can I be checked right away? At United Smiles, we guarantee same day emergency appointment. We will try our best to provide you treatment on the same day, especially for emergency cases. I’m pregnant. Do I still need to see my dentist? During pregnancy, there will be an increased blood flow to the gum tissues because of changes in your hormone levels, resulting in an increase in inflammation of gum tissues in some cases. Thus, it’s crucial to pay attention to your oral hygiene habits and dental health if you’re pregnant. Any dental treatments should be carried out before conception or after the first trimester. For more information, visit our orthodontics page. My teeth look okay. Do I still need to visit a dentist? Yes. Even though nothing hurts, it still possible that you have an existing tooth or gum problems. To be sure that your mouth is perfectly healthy, you need to see your dentist for a routine check-up and cleaning every six months. Doing this helps you keep healthy and strong teeth for life. Can you help me reduce my dental anxiety? Yes. At United Smiles, our sleep dentistry methods provide patients with a more relaxed and pleasant dental experience throughout the entire treatment procedure. Sleep dentistry is the use of anaesthesia during treatment to put the patient into a relaxed state, creating a calm experience using sedatives such as depressants, tranquilisers, or anti-anxiety drugs, which are administered before any dental procedure. In addition, our doctors and staff are ready to listen to your concerns and understand your apprehensions. By simple and genuine communication, we hope to overcome your discomforts and anxieties about dentistry. For more information, go to our sleep dentistry page. How do I schedule my next check-up? Simply call our front desk. Our friendly staff will be pleased to help schedule an appointment for you or your loved one. If you’re a new patient, please let us know so we can provide you with all the details you will need for your dental visit. What’s the best time to visit your clinic? United Smiles is open on weekdays Monday to Friday between 8:00 am to 8:15 pm. On Saturdays, we are available between 8:00am to 3:00pm. For more information, head over to our contact us page. If you have more questions about your oral health or our dental services, be sure to visit us here at United Smiles or contact us on (03) 8682 8658 to book your appointment.